CASA volunteers help to ensure that the needs of abused and neglected children are met, while advocating for their best interests in dependency court. A CASA volunteer, a Court Appointed Special Advocate, is appointed by a judge to investigate the facts in a case, make recommendations, and monitor progress toward establishing permanency for the child. Voices for Children Foundation supports these efforts by providing additional training, materials, and recruitment to increase the number and quality of CASA volunteers working on behalf of children. CASA volunteers are people from all walks of life who step forward to make a difference. CASA volunteers fight for the fundamental rights of children during the most vulnerable time of their young lives. Working to ensure the child is well cared for and progressing toward a safe, stable home, the CASA volunteer is often the only consistent adult in the child's life. CASA volunteers not only impact the lives of the children for which they advocate, but they also have a positive impact on generations to come. 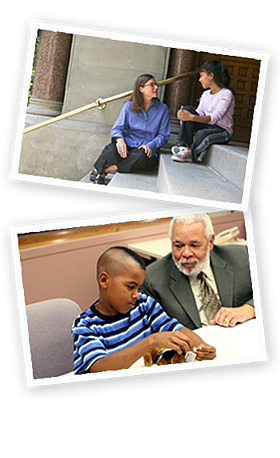 Help stop the cycle of abuse and neglect and improve the life of a child in need – support the CASA Volunteer Program. No experience is necessary to become a CASA volunteer; volunteers are provided with training, support, and the power to influence life-changing court decisions. Review the volunteer requirements, and download a volunteer application today! Fore more information, visit the WA State CASA website (www.washingtonstatecasa.org) or the National CASA website (www.casaforchildren.org). Download a Volunteer Application Today!